On Saturday, May 18, McKinney families are invited to take part in the Kids To Parks Day event! Kids To Parks Day will welcome everyone for a day of outdoor activities at the McKinney Community Center. Those activities will include hiking, fishing, and outdoor exploration. This is a great opportunity to introduce your kids to fun, outdoor activities, and a chance to see some of the natural settings located here in McKinney. 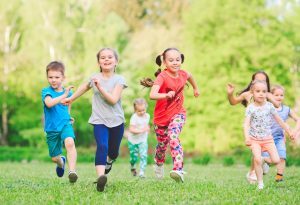 Keeping kids active can help them stay healthy. Your efforts to keep your kids healthy should also include focusing on the condition of their teeth. Your McKinney, TX dentist’s office welcomes younger patients to enjoy important oral health support during pediatric dental exams. The Kids To Parks Day event is scheduled for Saturday, May 18. Activities are set to run between 10 am and 2 pm. Families interested in joining this event can come to the McKinney Community Center, located at 2001 S. Central Expy, McKinney, TX. This is a FREE event that your family can enjoy! During Kids To Parks Day, the McKinney Community Center will help introduce kids to a range of fun outdoor activities. While this event is free to join, families do need to register, and parents must accompany children aged ten and younger. Schedule Your Family’s Next Dental Appointments At Illume Dental! Illume Dental is ready to help McKinney families keep their teeth in great shape! Our practice is ready to deliver dedicated smile support to adult patients, and provide important pediatric dental services for kids. If you have a question about your oral health, if you need to start your child’s dental visits, or if you want to learn more about the range of services we offer, call Illume Dental in McKinney, TX, today at (469) 301-1255.